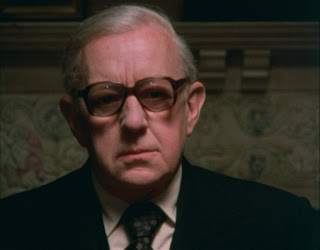 Where's George Smiley when you need him? Discussion in 'OT (OFF Topic) Forums' started by grober, Mar 5, 2018. Really do hope that this isn’t the start of something more serious. Wonder what exotic poison they used this time? Probably the same one they used last time ! Putin is scary, and I'm not ashamed to admit it. It now emerges the 33 year old woman found beside 66 year old Sergei Skripal, was his daughter. Two policemen who attended also required medical attention. LHD Brabus B63S (CL63 AMG based) and RHD M6 Comp. Surely just a coincidence, but his wife, son and older brother have all died in the past two years, according to BBC. That nice Mr Peskov, Putin's spokesman, told journalists that Moscow was prepared to help with the investigation. "We see this tragic situation but we don't have information on what could have led to this, what he was engaged in,". Bearing in mind the symptoms of the first responders and the victims my money would be on a nerve agent such as VX or Sarin similar to that was used in the assasination of Kim Jong-nam. I was thinking that a nerve agent was most likely. If anyone saw the recent series McMafia on TV, it appears that it may have been rather more accurate than is comfortable. VX is one of ours, isn't it? And there's a stash just down the road at Porton as well. Conspiracy! He's muttering "Why am I bovvered ?" and wondering about Ann. The run , but they can't hide. I do wish that if whoever it is choses to execute people on UK soil that they would do it up close with a hand gun, double tap to the head and leg it. All this use of poisons/radiation puts innocent people at risk and cost the taxpayer a fortune in clean up costs. If this is KGB (or whatever they are called these days) With their expertise the assassin could be miles away and disappeared before the UK police even arrived on the scene. If there is Russian involvement it may be to send a message to their own citizens not to even think about speaking to the west, we have long memories, so keep in line. Post the COBRA meeting this morning the home secretary has stated that more information about the attack and the the nature of any substance that may have been employed will be the subject of a police statement this afternoon. VX, Sarin or similar, apparently. A nerve agent was used to try to murder a former Russian spy and his daughter in Salisbury, police have said. A police officer who was the first to attend the scene is also now in a serious condition in hospital, Assistant Commissioner Mark Rowley, head of Counter Terrorism Policing, said. Now there's some confusion over the woman with Skripal. CCTV shows him with a blonde, eye witness state he was with a blonde but his daughter is brunette? The first police officer on the scene is fighting for his life apparently. Nothing will come of this & nobody will be prosecuted. The Russians in London have too much money and too much power. John, stwat and E55BOF like this. Regardles of what evidence or lack of evidence of Russian involvement, nerve agents are not readily available at your local Boots Pharmacy, who else would have access to such stuff and have the motivation to carry out the deed. Protestations from Russia seem a bit ludicrous in my opinion. The problem is we import a lot of Natural Gas from them, as a nation we are far too dependent on the whims of other people. "Gesture diplomacy" I think it's been called.